BAGUIO CITY – The City Council approved on first reading a proposed ordinance establishing the Search for the Most Child-friendly Public Schools in the city and appropriating the required funds for the purpose. The ordinance authored by Councilor Leandro B. Yangot, Jr. stated that all public schools within the city will be covered by the implementation of the proposed measure and that the awarding of the winners for the search will be done during the celebration of children’s month. The ordinance outlined that the criteria for the Search for the Most Child-friendly Public Schools include academic performance, academic and non-academic achievements, conducive learning environment, environment-friendly practices, instructional proficiency, programs promoting inclusive education, health and safety, school administration, active community participation, innovations and drop-out rates. The ordinance added the awardees shall include one awardee per level, elementary, junior, and senior high school, that meet the minimum prescribed criteria of 80 percent and garners the highest rating shall be conferred the title Most Child-friendly Public School and shall be entitled to a still undetermined cash reward. Further, the Local School Board, through an approved resolution, will be authorized to confer additional and special awards within the prescribed criteria and appropriate budget. 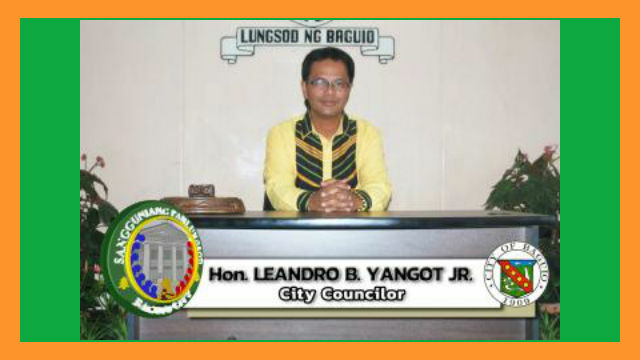 Yangot claimed that all cash incentives given to the winners pursuant to the provisions of the ordinance shall be spent on activities and necessities that support learning programs and help maintain a safe and healthy environment in schools, subject to accounting and auditing rules and regulations. The ordinance stipulated that all awardees shall submit an accomplishment and utilization report to the Local School Board at least 30 days before the beginning of classes of the succeeding year. The ordinance tasked the Local School Board in coordination with the City Schools Division Office shall formulate the prescribed implementing rules and regulations necessary for the effective and efficient implementation of the proposed measure. Under the proposed ordinance, the Local School Board shall be the main implementing agency of the measure and it shall identify the guidelines, assessment method and the schedule of activities in selecting and awarding the most child-friendly public school in the city; design and produce information, education and communication materials to be used by the City Schools Division Office; serve as repository of all documents, memorabilia, pictures and other related information and reports; review, evaluate and select the awardees following the established guidelines, assessment method and criteria; prepare an annual report based on the evaluation and assessment of the public schools and perform other functions necessary for the effective implementation of the measure. On the other hand, the City Schools Division Office shall disseminate the ordinance and orient all public schools; gather the necessary documents from all participating public schools and forward the same to the Local School board and perform other functions necessary for the implementation of the measure.